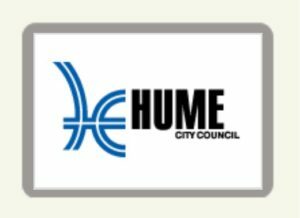 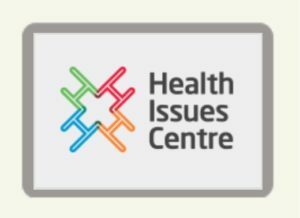 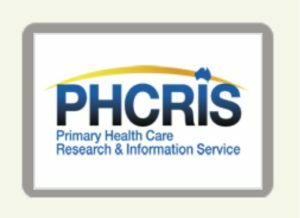 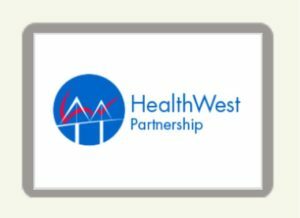 Hume Whittlesea Primary Care Partnership sources a range of resources to support organisations to find smarter ways of making the health system worker better. 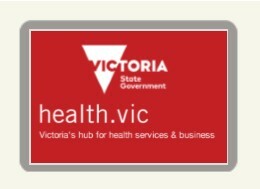 Our resources are continuously being updated to reflect the changing health and community environment. 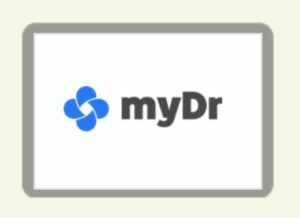 So be sure to keep visiting this page. 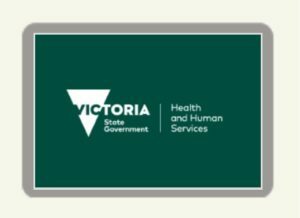 The Victorian public health and wellbeing outcomes framework provides a transparent approach to monitoring and reporting progress in our collective efforts to achieve health and wellbeing. 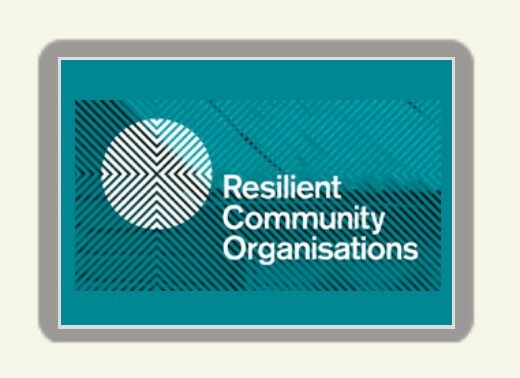 Resilient Community Organisations is a toolkit developed by and for the community sector to help organisations measure and improve their resilience to disasters and emergencies. 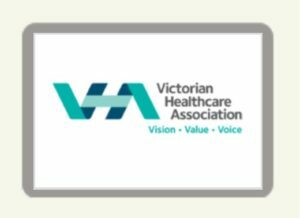 The Victorian Healthcare Association is the not-for-profit peak body supporting Victoria's public health services to deliver quality care. 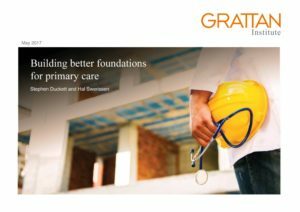 Mapping variation is an invaluable tool for understanding how our healthcare system is providing care. 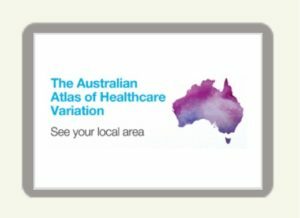 The Australian Atlas of Healthcare Variation series illuminates variation by mapping use of health care according to where people live. 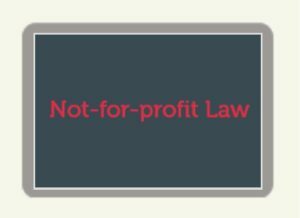 NFP Law is a program of Justice Connect a social justice organisation and community legal service and is itself a not-for-profit community organisation and registered charity. 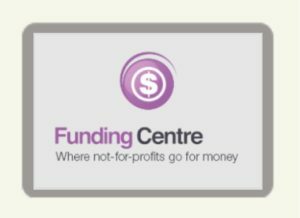 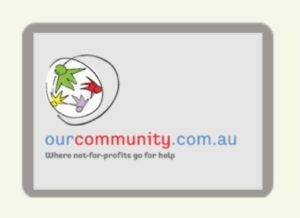 They provide free or low cost, high quality practical legal help for not-for-profit community organisations and advocates for improved standards and legal frameworks. 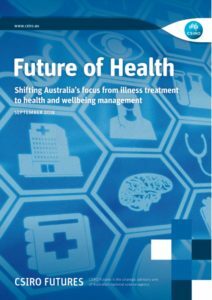 Future of Health (2018) Shifting Australia's focus from illness treatment to health and wellbeing management. 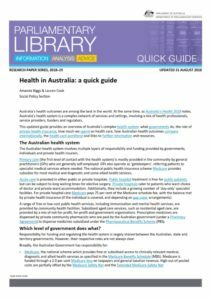 Australian Institute of Health and Welfare. 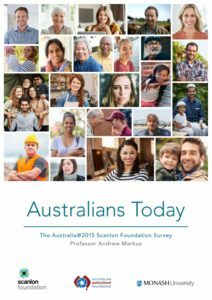 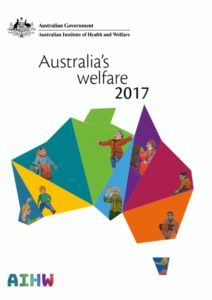 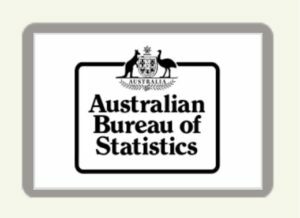 Australia's Welfare 2017 Report. 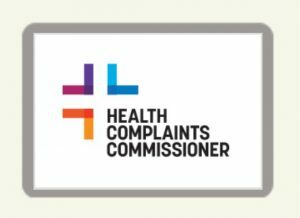 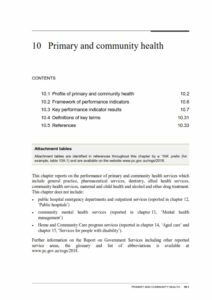 Productivity Commission, Report on Government Services (2018), PART E, CHAPTER 10: Primary and community health: This chapter reports on the performance of primary and community health services which include general practice, pharmaceutical services, dentistry, allied health services, community health services, maternal and child health and alcohol and other drug treatment. 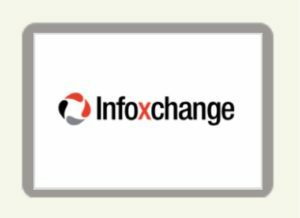 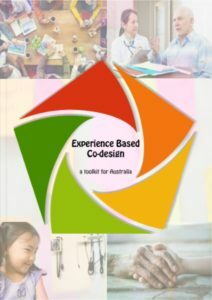 The Experience Based Co-Design Toolkit provides a convenient reference to equip those working in the health sector with the tools and approaches to bring consumers and health workers together in an authentic and equal partnership to co-design care to deliver an improved experience. 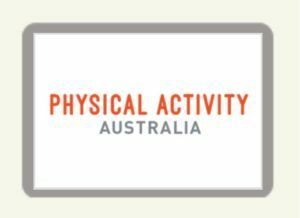 Moving more and sitting less don’t just benefit our physical fitness and reduce the risk of heart disease, type 2 diabetes and cancer; moving more also protects and improves our mental wellbeing. 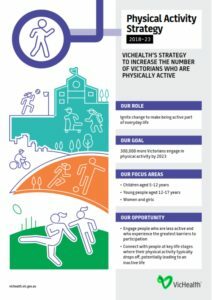 VicHealth’s Physical Activity Strategy aims to increase the number of Victorians who are physically active – making being active part of everyday life. 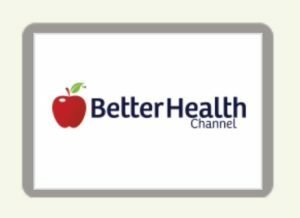 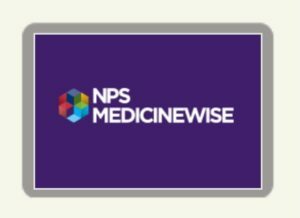 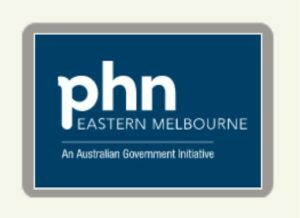 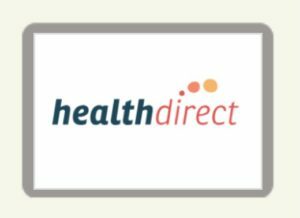 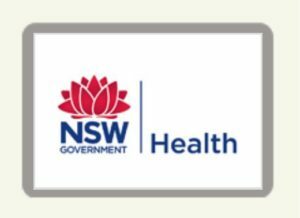 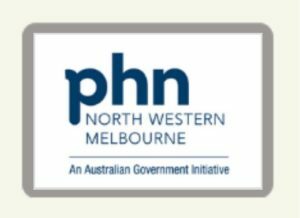 The Health Promotion Practitioners Network is an initiative by the four Primary Care Partnerships in the North West Metropolitan Region to support professional development among health promotion professionals early in their career.